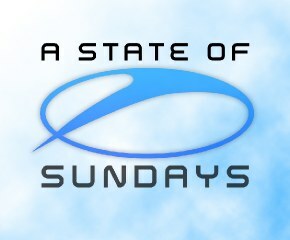 Today, on the day of the release of his fourth artist album ‘Mirage’, Armin van Buuren announces a new concept on SIRIUS XM Radio: ‘A State of Sundays’. A State of Sundays is a weekly 24 hour radio day of which the first episode will be broadcast on Sunday September 12th. 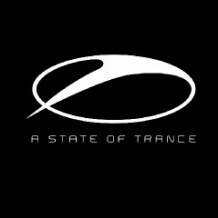 A State of Sundays will feature van Buuren’s critically acclaimed and award-winning ‘A State of Trance’ radio show. Every week, the two-hour show, that showcases the world’s best trance and progressive music, is listened to by over 10 million dance-lovers. In addition to the show, listeners of A State of Sundays will hear an exclusive hour with Armin’s personal collection, ranging from trance to progressive, house and down-tempo electronic music. Next to that, the show will feature a ‘Favourite Future DJ’ segment and special DJ sets by the likes of Markus Schulz, Dash Berlin, John O’Callaghan, Andy Moor, Ashley Wallbridge and W&W. Armin van Buuren:“Next year I’m celebrating 500 episodes and 10 years of my weekly radio show A State of Trance and I was looking for ways to expand the show. SIRIUS XM gives me the unique opportunity to provide my fans with even more new tunes and exclusive mixes from around the world. We’ll also look back on the history of the radio show and trance music in general. It’s a dream that comes true to be able to program 24 hours of music and that some of the top DJ’s from around the world will do exclusive shows for A State of Sundays.�? Sirius XM Radio is one of America’s biggest radio stations. With more than 130 digital-quality channels, varying from music to sports, news, talk, entertainment, weather and data, the station covers nearly every topic, field and genre. World-famous celebrities such as Howard Stern, Eminem and Oprah have their own channel on this US station. ASOT Ibiza Invasion – Live broadcast September 24th! Music video for Armin’s ‘I’ll Listen’ to be shot at Privilege! Radio 538 presents ASOT from Disneyland Paris – Sold out!